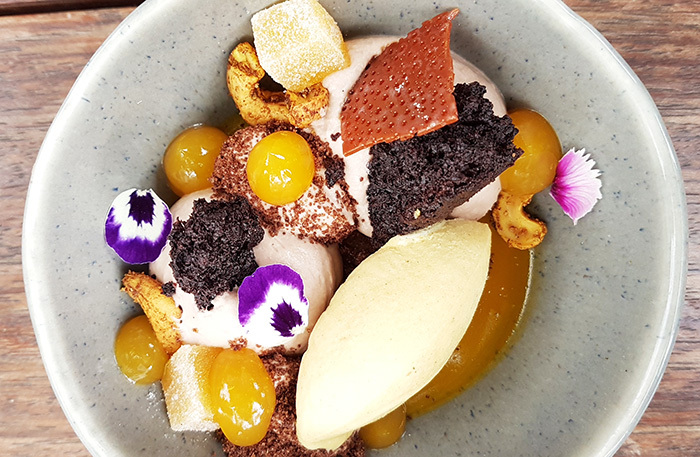 Foxcroft in Constantia is exactly what Cape Town’s culinary scene is all about. It is a glistening modern gastro-experience that the rest of the country envies us for. 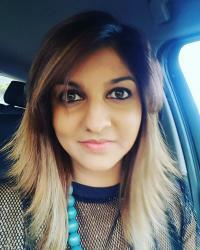 Gorgeous food served in elaborate presentations, at good prices, in a Mother City setting of mountain and greenery. Make no mistake, the taste of each tapas dish is a masterpiece, delicately flavoured and colourfully presented. The weekday lunch special at Foxcroft is a thrifty way to eat your way through their gastronomical menu. 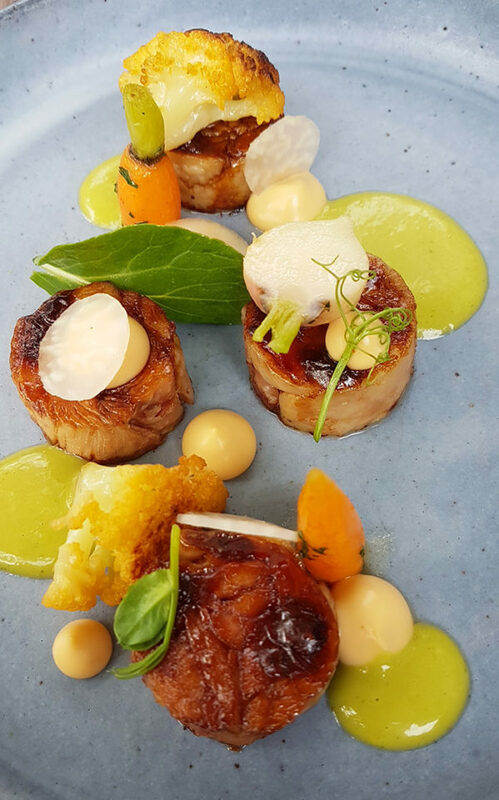 Head Chef Glen Foxcroft Williams’s ethos of preparing each dish considerately with seasonality, quality and flavour is what makes this eatery so successful – there is no sacrifice when it comes to delivering on big flavours. Each dish is meticulously presented – attention to detail is what Chef Williams is well known for, and you can clearly see why through each display. There are too many to favour so there was no favourite dish, just best all round. The tuna tataki with chipotle, avocado, cucumber and rice puffs is insanely delicious and delicate too. The little vial is emptied onto the plate, creating a unique symbiosis between all the carefully chosen ingredients. Each bite packs a flavour punch, and depending on what you swipe on the dish, picks up a different nuance. This dish is as beautiful, as it is textural and decadent. 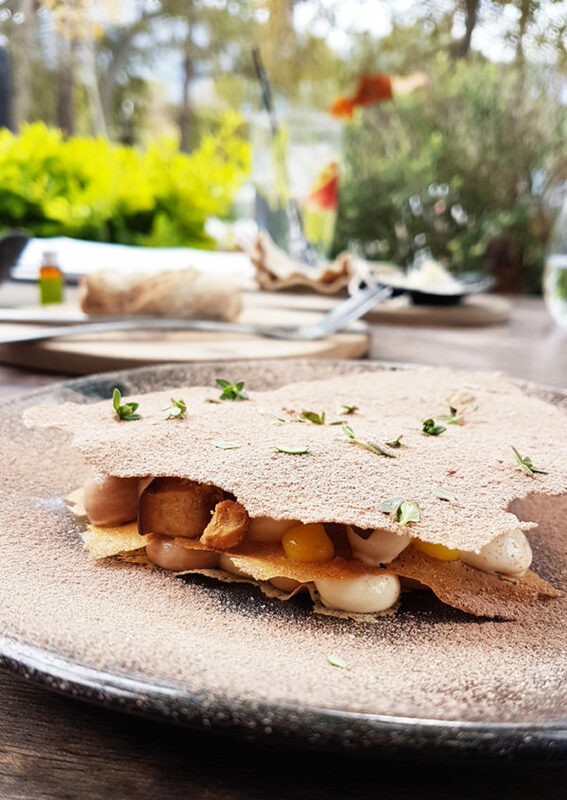 Layers of sunchoke (others known as a Jerusalem artichoke) pickled mushroom, naartjie, hazelnut and burnt onion are trapped between delicate casings – and the best part is how each bite melts in your mouth effortlessly. It is an ensemble of sweet, tart and warm and crunchy flavours – ingenuity wins. This dish will melt every vegetarian’s heart. Make sure you don’t miss out on this authentic Foxcroft dish, it’s probably the only place in Cape Town, or even the country where you will find it. While I am not a fan of sweetbreads, I opted for a small piece. But the chicken is what completely stole the show – it is rolled with some skin and fat, then marinated and cooked. It somehow retains the juicy chicken characteristics but is so much more flavourful than normal chicken. Each bite is an absolute delight – it is set off with spicy cauliflower, kohlrabi and tatsoi (cabbage). The accompanying sauces are a marvelous addition to the sticky, sweet, succulent chicken. And if there’s any fitting end to this luxurious meal, the toasted carrot cake is it. Served with pecan nut ice cream, carrot ganache and a cream cheese espuma, it is a serenade to Chef Williams other dishes. Once again, the textural experience is magnificent. 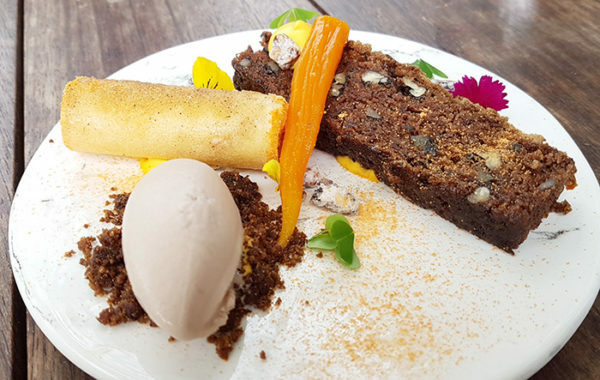 There is a creamy ice cream against a crunchy spring roll and a devilishly delicious carrot cake – it reminded me of Christmas cake – which made it that much more nostalgic and tasty. 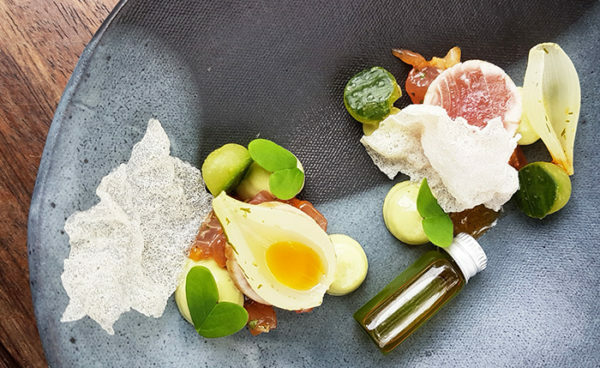 Each course is carefully curated from the best Cape Town has on offer in ingredients, atmosphere and chef excellence. Make sure you pop around for the lunch menu special, it is well worth the price. The menu is available as: 2-course R195 | 3-course R245 | 4-course R295 per person until 31 July 2018, excluding public holidays.